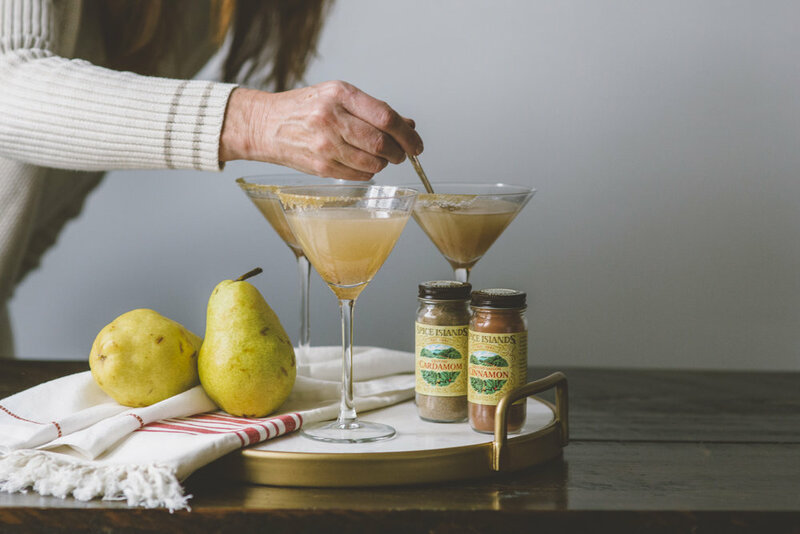 A delicious fall pear recipe with hints of cardamom and vanilla. Mix all ingredients, bring to a light boil on Medium heat. Uncover and remove from heat. Allow to cool. Rim glass with brown sugar and a pinch of cardamom. Combine 2 oz. of base and 6 oz. of Vanilla Dry Soda in shaker.